Has your wheel got a hairline fracture/crack? Does your wheel have a piece missing? Using the latest TIG Welding equipment our team specialise in the repair of cracks to alloy wheels. Give us a call to organise a time to bring your wheel in for repair. 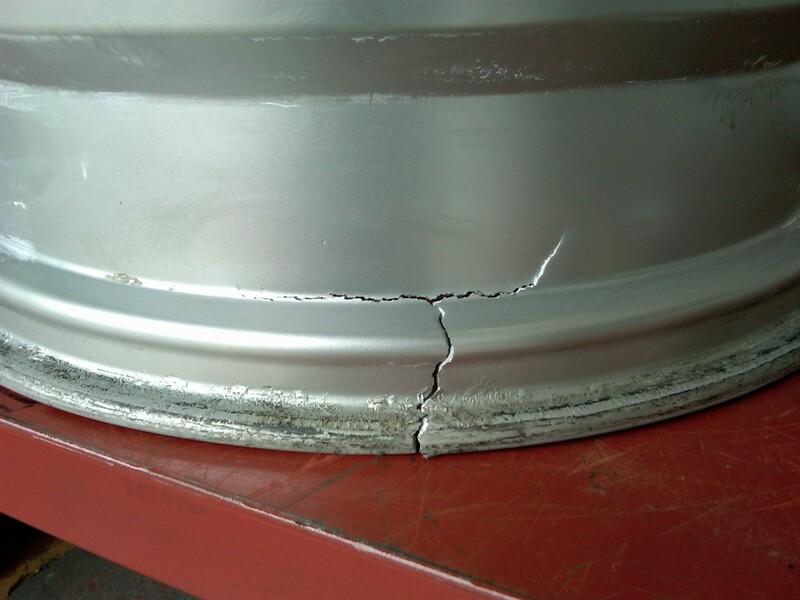 Example of a repairable cracked wheel.